ICOs, or initial coin offerings, are becoming increasingly popular, creating a multi-billion-dollar market. There is no sign of this industry slowing down anytime soon, as ICOs are giving startups in the blockchain and cryptocurrency space access to limitless crowdfunded capital. With the competition extremely stiff, it makes the marketing strategy a crucial component of the success (or failure) of the ICO. Attracting token investors and enthusiasts requires a well-thought-out marketing strategy, consisting of the five tips outlined below. Several tokens have successful ICOs simply because their audience loves their mission and what it stands for. Interesting and compelling stories act as magnets, attracting interest from those that want to get behind a token that shares the same values and belief as they do. If you have an interesting story, present it in a way that it not only attracts potential backers, but also turns them into supporters. If they connect with your vision and mission, they will be much more eager and willing to tell other token fans about your ICO. It’s a very tight-knit community, so any time you can leverage your story, they better marketing reach you will obtain. For instance, the team over at VaultBank, a company that is raising their own ICO in early December, is highlighted in all of their materials. And they do this because they didn’t just one day decide to be experts in their fields. Instead, the team has a wealth of experience in banking, startups, and technology. But they saw a need and saw the opportunity to fill that need, and they do a great job of explaining how and why they’re doing it. It’s also a good idea to make sure your entire team is highlighted as this puts a face with the ICO and makes your token appear more human. With so many ICO options, and more launching almost daily, and opportunity you have to make a human connection, the better chance you stand of having a successful offering. Just because tokens are a hot commodity within the industry right now, doesn’t mean that an ICO should be mass marketed. The truth is, the majority of the real world doesn’t know what an ICO is, let alone what blockchain technology is. It’s foreign territory to the majority of the population. When marketing an ICO, you are going to be targeting a very specific group of individuals, so your entire effort must be designed around that group, and only them. In the grand scheme of things, no other audience matters, especially when it comes to a very niche-specific offer like an ICO. It would be wise to segment your marketing efforts into two: the experienced cryptocurrency crowd and those that are new, yet familiar with blockchain technology. This allows you to cover all of the bases, while maintaining very similar campaigns, which will only require minor tweaks and changes to pull each segment in. The token market is so new, and most ICOs are being rolled out by groups that haven’t previously launched a coin. With only one shot to knock this out of the park, it’s wise to have as much experience in your corner as possible. Consider retaining an experienced ICO advisor to help oversee the entire offering, which will help you meet and often exceed the raise-goal. Experience in the crypto industry is hard to come by, so any time you can bring someone onboard that can help navigate your ICO, it’s something that needs to be highly considered. The cost can come back ten-fold, simply because of the guidance offered, helping to deploy an effective marketing campaign that delivers the necessary capital raise. Mickey and his team were able to build out their advisory board and bring on consultants that they found through interacting with the crypto community. And because of that they’ve been able to launch their own ICO this month. It’s very simple. If your offering lacks transparency, it’s going to act as repellant towards potential buyers. Those that show potential interest need to have full confidence in the developing team behind an ICO. A lack of transparency will greatly reduce the amount of money you are able to raise during the initial offering. One very simple way to portray transparency is to list extensive bios of every team member, and make them public on the website dedicated to the ICO. Include pictures, a comprehensive biography and even links to each team member’s social media accounts. In addition, you should consider making your team active and available to answer questions on platforms like Reddit or even creating a dedicated Slack channel for discussion and Q&A. Those contributing to your ICO are also going to want to know how and where their funds will be used, so be sure to detail all financials, providing even more transparency. 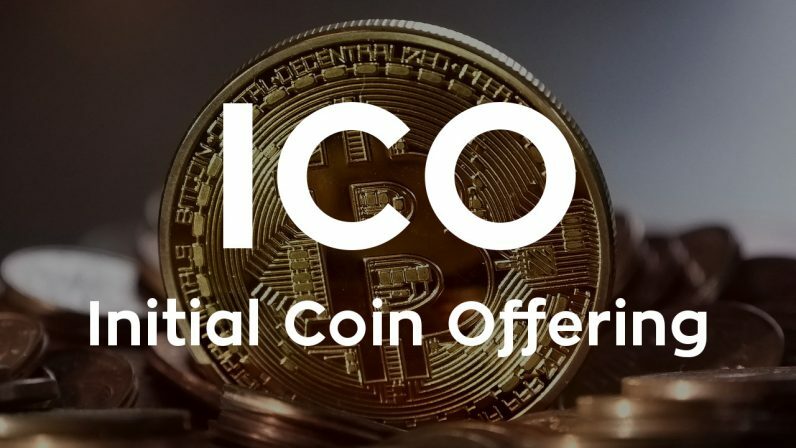 There are many compliancy issues that need to be taken into account in regard to how the token must be issued and who is eligible to partake in the ICO. There are very strict guidelines that need to be adhered to when marketing an ICO, so it’s best to hire a law firm that is familiar with SEC guidelines and more specifically, SEC guidelines pertaining to ICOs. One sticky area is celebrity endorsements, which is one marketing tactic several ICOs have used. The SEC has issued warnings, advising that many endorsements are violating securities laws by not disclosing the nature of the relationship.